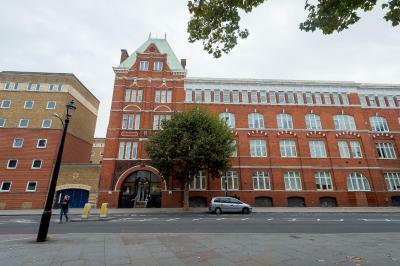 A very reasonable priced hotel in central London with a comfortable bed. The room itself was perfectly fine, the view from the window was nice, the desk and chair functioned just as you'd want them too. This was about as good a price as you can get in London for a single room with a private bathroom, and it was just a 5 minute walk to the Borough public transit station. 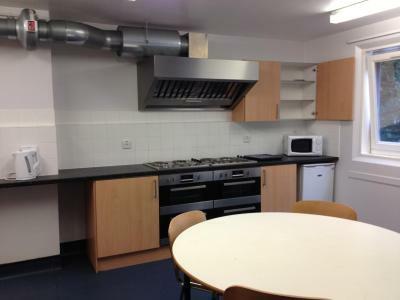 A shared kitchen was also available. Almost everything. Staffs were kind and helpfull. The best place stay in Zone 1 at affordable price. Bed was very clean. Continental breakfast (ham, cheese, breads, pastries, cereal, yogurt, juices, coffee & tea) Bus 381/N381 at door. 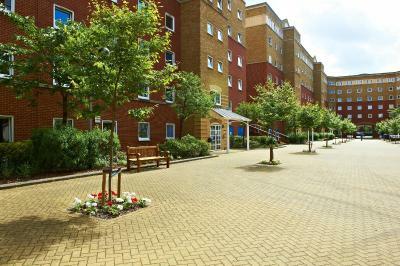 15 minute walk to Elephant & Castle station. Simple reasonably priced accommodation in a great location. This is very much no frills as you would expect, but the room was clean, quiet and felt very safe. There was access to a kitchen with fridges - though no kettle or tea making facilities (or pans crockery etc- you'd need to bring your own) in the flat . Tea and coffee making was available at reception though (just meant a 5 min round trip for a cuppa!) Overall for the price was pretty decent. 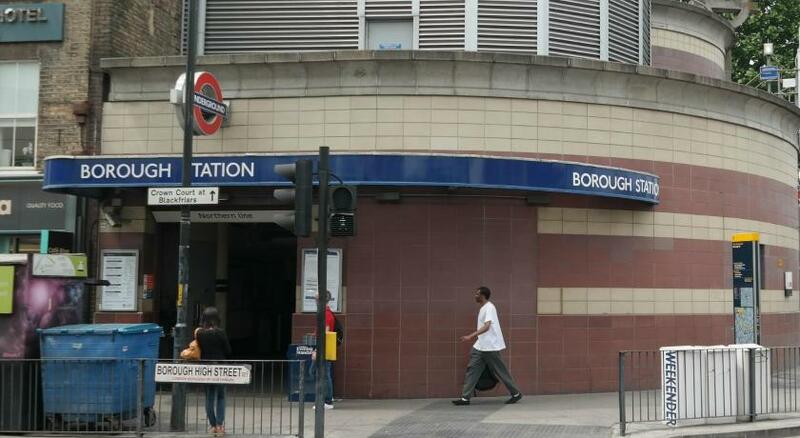 The property isn't too far from the tube station Borough (Northern Line) which means a pretty good connection (I went to Maiden at the O2 - so suitable for concert-goers). The staff is very kind and ready to help, there's free coffee and tea, the bed was very comfy, and having a (clean) bathroom to yourself is great, of course. I'd stay there any time again. The two black men who working in the reception are very welcoming and kind. 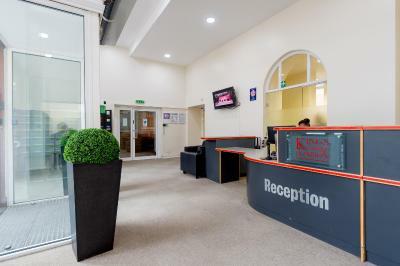 Clean and good location, staff were very friendly and helpful. Bed was comfortable, linen was clean. Great for a London visit on a budget! Clean, comfy, quiet, good location. Perfect for a one night stay. 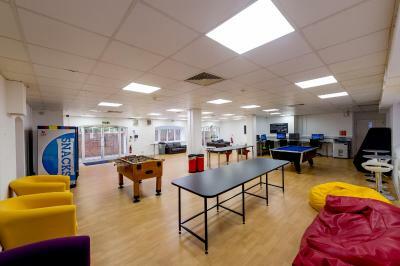 Located in Southwark, London, just 13 minutes' walk from Elephant & Castle Tube Station, Great Dover Street Apartments, a King's College University student accommodations features accommodations in a building serviced by a elevator with 24-hour front desk and vending machines. Free WiFi is available in the rooms. 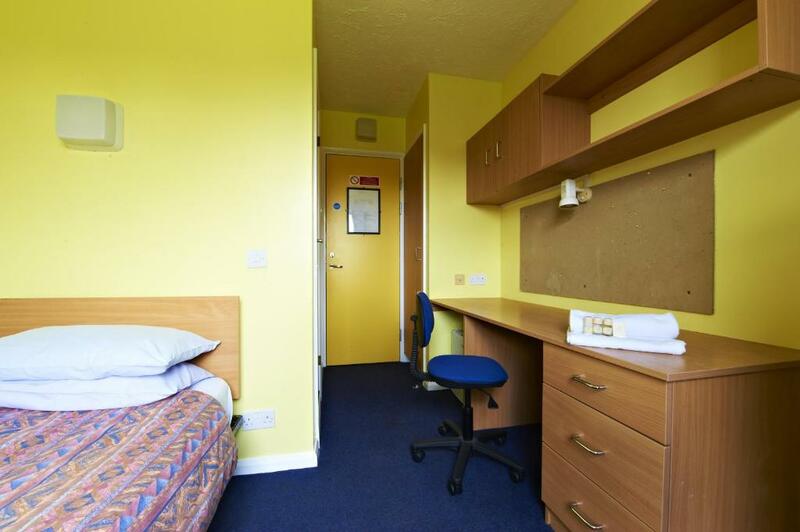 All the rooms have a desk, wardrobe, an en-suite shower, toilet and sink. Toiletries, towels and bed linen are provided. 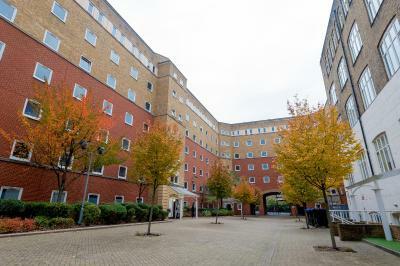 Elephant & Castle Shopping Center is 11 minutes' walk away and local tourist attractions such as the Tate Modern Museum and Shakespeare's Globe Theater are less than 20 minutes' walk away. Waterloo Train Station is 1.3 miles away. 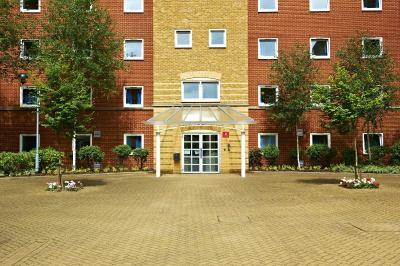 When would you like to stay at Great Dover Street Apartments? 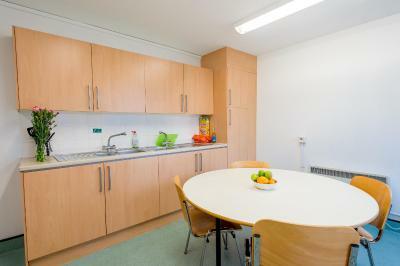 Guests have access to a shared kitchen with a refrigerator, but guests must provide their own crockery, cutlery and utensils as these are not supplied. House Rules Great Dover Street Apartments takes special requests – add in the next step! Great Dover Street Apartments accepts these cards and reserves the right to temporarily hold an amount prior to arrival. on-suite shower is next to the toilet so once you've showered the entire bathroom is wet- bathroom looked a bit worn, but all functional! Every thing is fine and maybe the bathrooms need to be more modern. The toilet and shower has no partition so the toilet seat is completely wet after shower. 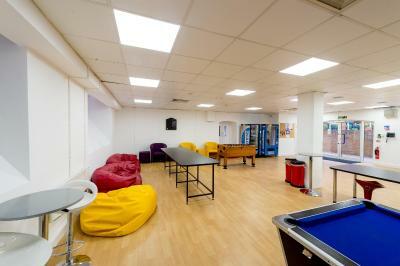 Obviously this is vacant student accommodation being rented out so the facilities are basic, but that’s why it’s cheap! The shower was awful. Water leaked out the pipe where the faucet attaches to the shower head. The shower head itself shot water out sideways in some spots. The water cycled between freezing and scalding seemingly at random no matter the input from the faucets. Everything else was fine but the shower was absolutely unworkable - and I'm not terribly picky about my living conditions. I have to believe every shower in the building cannot possibly be this bad, but this was my experience and I have to say something about it. 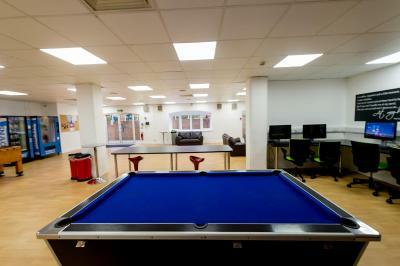 This is student accommodation, so it is fairly simple. The shower is pokey and almost impossible to maintain a stable temperature, alternating between too hot or cold. The WiFi was always available, but bandwidth was too poor to load many pages, so not to be relied on for any detailed planning, booking or anything beyond simple use. The noise, even though the apartment was situated in the inside of the quadrangle the ambiant noise was still there. I think a bit more effort with the rooms could be made. I understand these are apartments so this is difficult to address, that's why the price is what it is. It was adequate but not some where if you want luxuries of a TV or tea making facilities. I think the price was the main determinant , and the customer service was clean and respectful, and they were there at the reception. A real value for money especially if you're looking for a decent place to sleep! Free coffee is the cherry on the pie!